﻿Blocks are considered by some to be the most direct and least subtle of defensive techniques. Other ways of avoiding attack include evasion, trapping, slipping and deflection of the oncoming attack; this approach is often referred to as the application of soft techniques such as Tai Chi. In most cases people see blocking ﻿as a shielding action, what we train in class is different from conventional boxing where the fighters do shield their face and torso from incoming attacks by covering up with their forearms and hands you see boxers defend like this. However, if you are doing barehanded fighting, with no gloves to cushion and disperse the energy from the incoming attack, then the blunt force trauma of the attack to the forearms will quickly just after few hard blows from a strong attacker damage them beyond use. The Ptah Ki system trains nine different blocks out side of self defence techniques and tai chi chuan these blocks are further developed as defences interceptors which deflect the force coming towards you. To do this we utilise the principles of Tai Chi the use of the full body in movement. If we move the body as parts an arm here, a step there we will not maximize our ability to move effectively. The means of moving the body as a fully integrated system creating a resilient unified structure this can be explained using three component . 3. Compression towards the center point and then exploding force outward. When we move in this way we can feel that the combative tactics employed are not merely square in action but round in motion we may not know precisely where you sparring partners is targeting but we do not need to precisely predict with great intelligence to respond effectively. This understanding informs our use of the hand, arm and body positions in “defensive” techniques creating a defence energy. 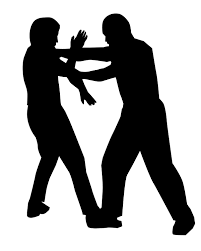 This way of moving allow the body shift and opponent contact to be a single motion, and allows for no perceptible delay in following up, responding to incoming assaultive technique. 6. Step away so you can decide to walk or run away. Never meet force with force, always yield to an attack. Stick to your opponent, use his incoming movement to your advantage to unbalance him. Redirect his movement by deflecting him past you or off to the side, (turn your waist). If he tries to get away, follow. Allow him no escape. To knock your opponent over, direct your power upwards, to uproot him. Never leave your centre line (face, heart, groin) unguarded. Look for “doors and windows” (exposed areas of your opponent’s body where a strike would be effective). Be aware of every direction, in front, behind, right, left, all four diagonals, above, below and your centre. Practice ward-off, roll-back, press, push, split, pluck, elbow-strike, shoulder-strike.